"The title 'Multisport Coach and Physical Therapist" is only an insight to what Allan Besselink offers to the multisport community. I have experienced many coaches throughout my athletic career yet have never some across such an inspirational, friendly, and interactive coach as Allan. There are good coaches who cheer and encourage from the sidelines, and there are great coaches that take an active role in the improvement of their subjects. I find it easier to take advice from an expert in his field when he too is running beside me on the Town Lake Trail. I also think Allan has a well-rounded perception of the health and fitness world in general. 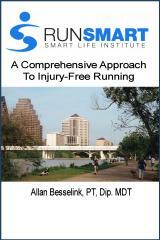 Running fast marathons and completing triathlons without injury are important ideas in many of our lives. However, when the race is over or the injury is successfully healed, the only memories we cherish forever are the friendships we made during those times. Allan's combined friendliness and coaching skills result in a healthy life through companionship. Allan makes sure to encourage athletes to their greatest potential yet at the same time never loses sight of what it means to have a good time."